LuckyStars: Vegetable Salad in the middle of winter! Vegetable Salad in the middle of winter! I was lucky enough to be introduced to this tasty recipe from my friends Nick and Dee. We spent a great night out eating Korean food the other night and after copious drinks back at their house we were getting ready to head home and Dee insisted we take a quart of this delicious veggie salad home with us! I thought it looked good but never thought it would be this delicious!!! 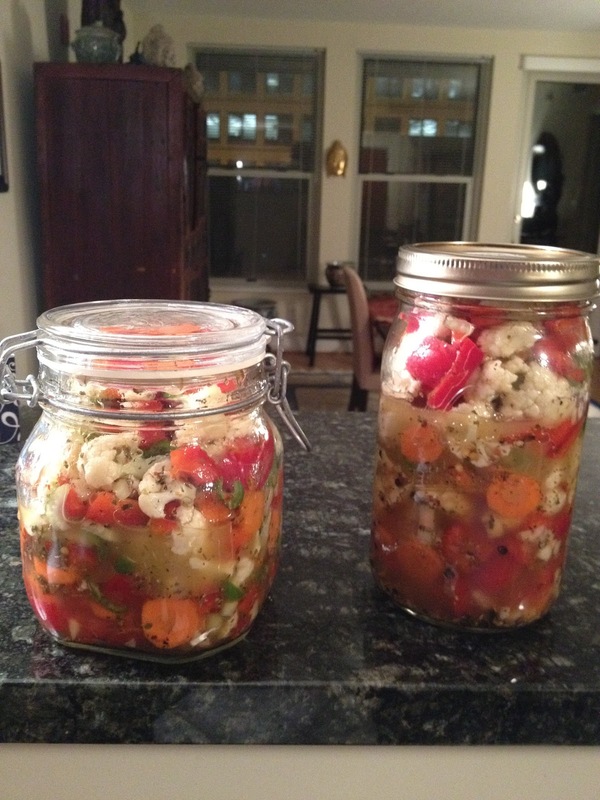 The next day I combined it with some chopped feta and yummy crackers. It was out of this world so you can imagine how happy I was that 2 days later in my email Nick attached the NY Times article and recipe!!!! Thanks Nick for turning me on to what should be a staple in my library of recipes! It is super easy to do - just takes a long time to brine and cure. 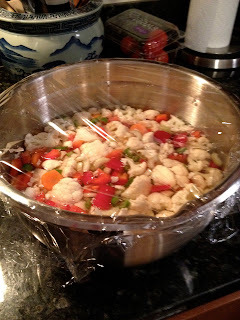 I started this morning with chopping the veggies and covering them with salt and cold water- left it to brine on the counter covered most of the day- recipe says 8 -12 hours. You need to mix the marinade together - I did it in one quart jar then poured half of it into the other jar - then added the veggies. The marinade ingredients are easily found and some you might even have in your cupboard. The final product - it needs to cure for at least 3 days in the frig!! 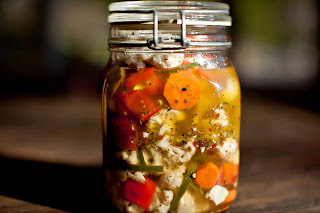 It's actually called Giardiniera (pronounced jar-deen-YAIR-uh and Italian for “from the garden”) Can be used to enhance tuna salad or as a great side dish. I just love it - hope you do to !!! Thanks Dee and Nick for a great recipe. 1/2 cup grapeseed or safflower oil. 1. In a large bowl, using your hands, mix the vegetables and salt until well combined. Cover the vegetables with water. Cover the bowl and allow the mixture to sit, unrefrigerated, for 8 to 12 hours. 2. Drain the vegetables and rinse thoroughly. 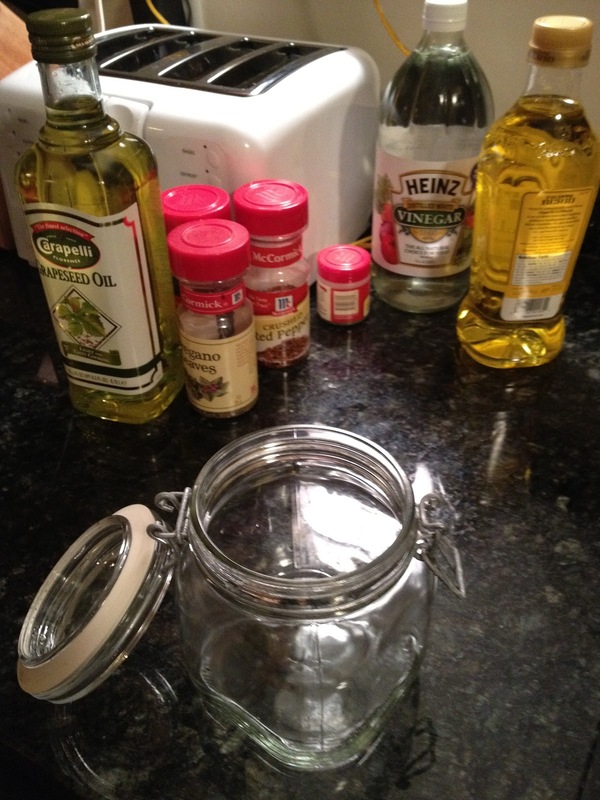 Sterilize 2 quart-size glass jars, with lids, in the dishwasher or by submerging them in boiling water for 10 minutes. 3. In one sterilized jar, combine the garlic and all the herbs and spices; add the vinegar and oil and shake well to emulsify the dressing. Pour half the dressing into the other jar. 4. Pack the vegetables into the jars. If vegetables are not completely coated, make and add more dressing. 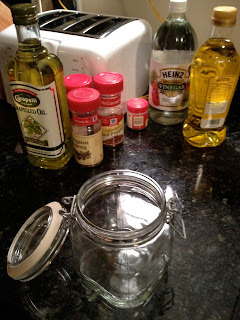 Screw lids onto jars and refrigerate. Allow the mixture to mellow for a couple of days before serving. This is a great recipe! I will be trying it out for sure. Crazy Mixed up Feta for your Super Bowl Party!